Extravagant digitally remastered two CD set compiling 55 hits from the long, productive and influential career of Sir Cliff Richard. Although he's a musical institution in the UK (and Europe), Cliff's influence on modern music is often overlooked. Since the '50s, he's been creating instantly memorable hits both solo and with The Shadows. Throughout the decades, Cliff has been in and (mostly) out of fashion with the music press, but there is no denying the adoration and undying support he receives from his fans and music buyers worldwide. 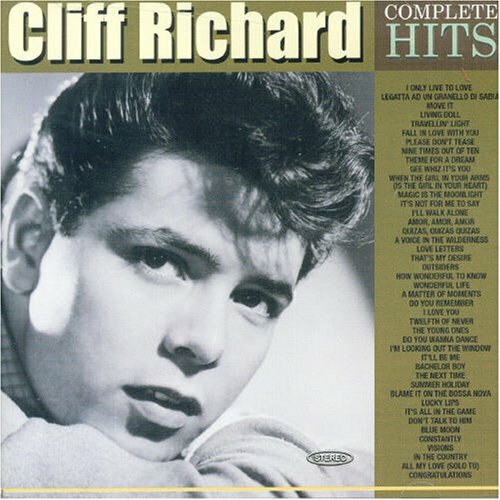 This collection is the most complete hits package available from Sir Cliff and includes 'In The Country', 'The Young Ones', 'Living Doll', 'Lucky Lips', 'We Don't Talk Anymore', 'Summer Holiday' and many more. EMI. If you have any questions about this product by Emd Int'l, contact us by completing and submitting the form below. If you are looking for a specif part number, please include it with your message.